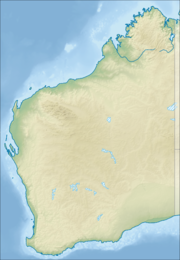 Ngurrawaana is a medium-sized Aboriginal community, located 100 km south east of Karratha in the Pilbara Region of Western Australia, within the Shire of Ashburton. The Ngurrawaana community is situated in the heart of Yindjibarndi country providing a central location for the continuing activities associated with the cultural, spiritual and religious maintenance of the significant sites and locations within Yindjibarndi territory. The community is located within the Determined Ngarluma/Yindjibarndi (WAD6017/96) native title claim area. Children of school age at Ngurrawaana community attend the Ngurrawaana Remote Community School. The school teaches up to twenty children with the Principal and one of the school teachers, living on site. The community is managed through its incorporated body, Ngurawaana Group (Aboriginal Corporation), incorporated under the Aboriginal Councils and Associations Act 1976 on 10 March 1982. Ngurawaana DRAFT Layout Plan No.1 is not yet endorsed by the community and exists only in DRAFT format. The DRAFT Layout Plan map-set can be found at Planning Western Australia official site. This page was last edited on 18 February 2018, at 07:06 (UTC).